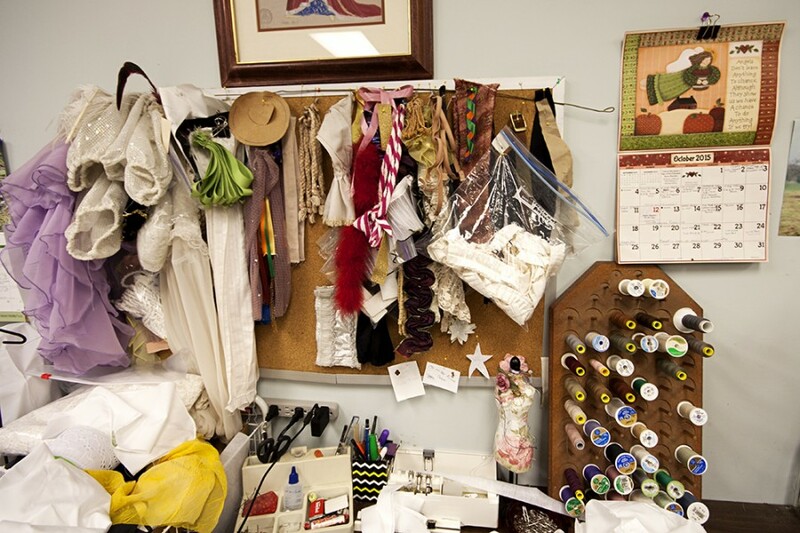 This underground studio has been the domain of Wardrobe Mistress Diana Vandergriff-Adams since the Cincinnati Ballet moved into a former brewery in the late 1990s (and she’s been sewing costumes for the likes of the Ballet and the Cincinnati Opera since the early 1970s). We paid a visit to Vandergriff-Adams and her team (which is actually just comprised of one other staffer, Wardrobe Assistant Laura Hoffman, who also happens to be Vandergriff-Adams’s daughter). 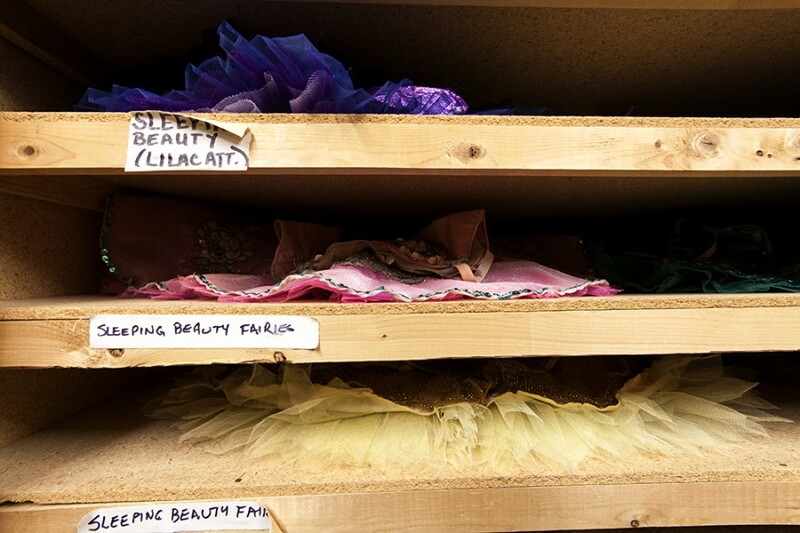 They fitted some dancers to costumes for their October 2015 show, Lady of the Camellias, and showed us around their workspace. 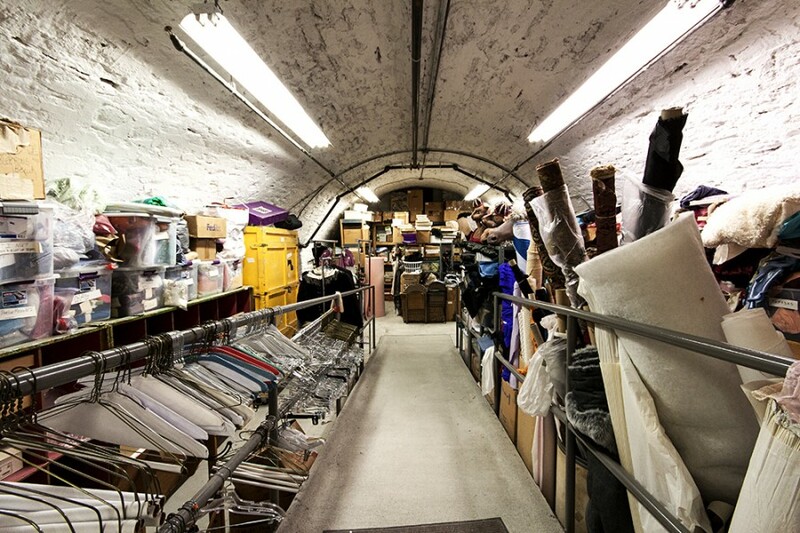 The ballet’s costume storage space, housed in a former brewery barrel cellar. 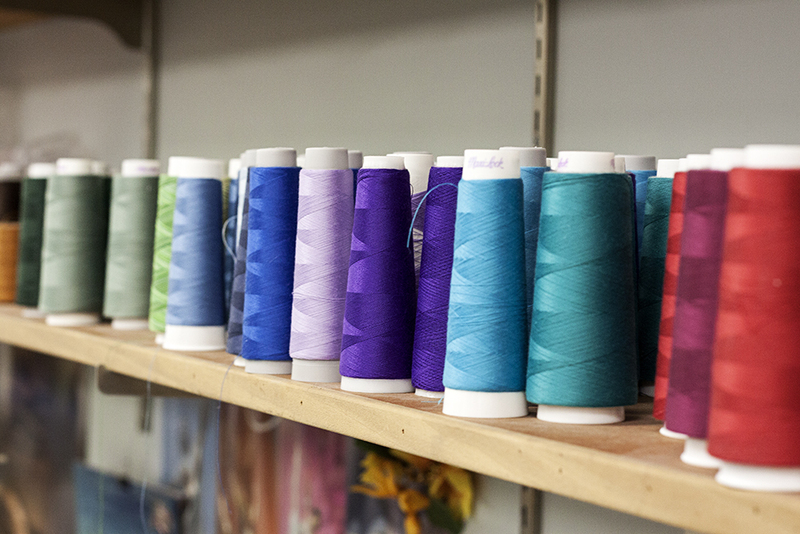 The lack of natural light might make the place feel like a bunker, but it’s perfect for preserving textiles and squirreling away delicate costumes. 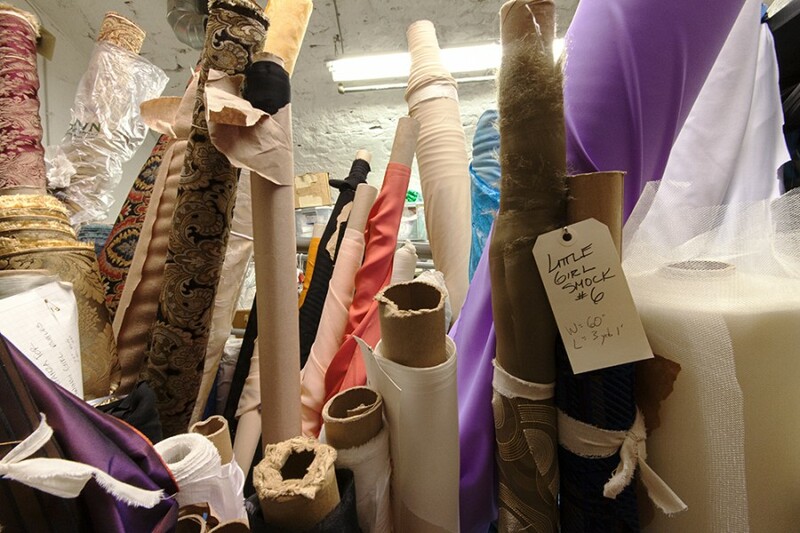 Vandergriff-Adams is committed to costume quality—and dancer safety. “We never use glue for gems,” she says. 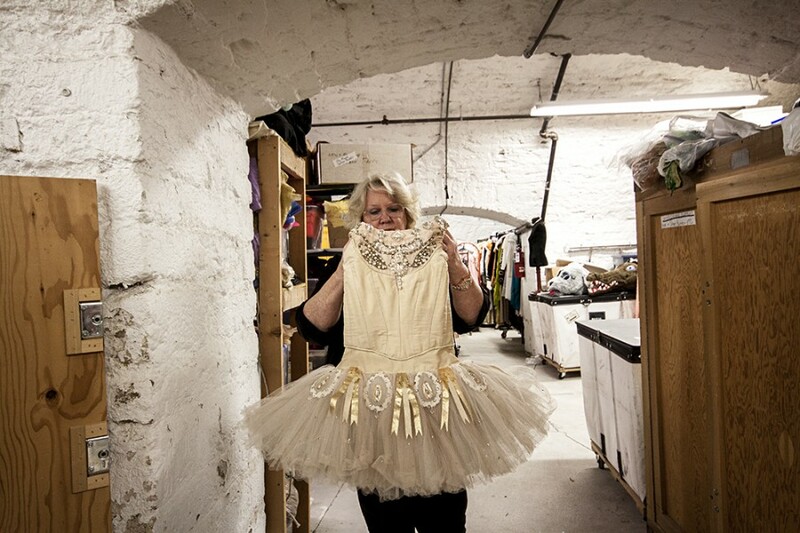 “They can come off and if a dancer slips on one, that can be the end of a career.” To make sure all costumes materials are safe and secure, she and her staff spend hundreds of hours hand-sewing them. 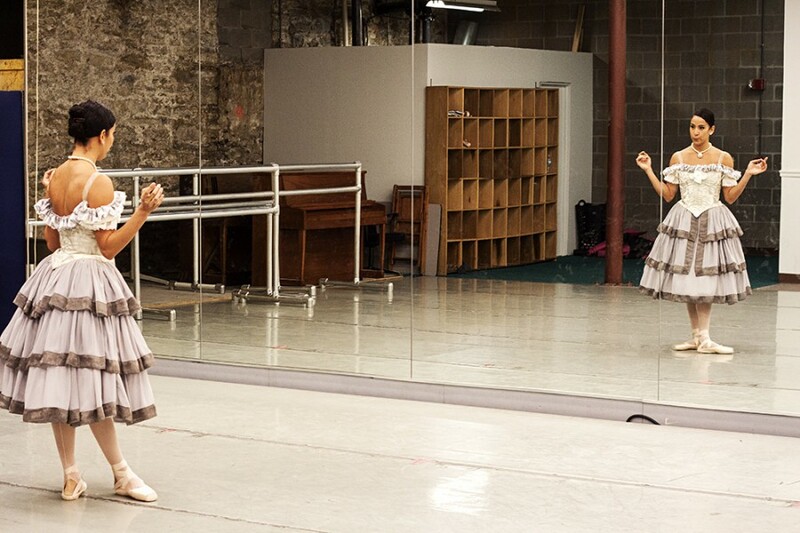 Vandergriff-Adams holds up one of her favorite costumes, the “Diamond” from Jewels, a three-act ballet created by famed choreographer George Balanchine. 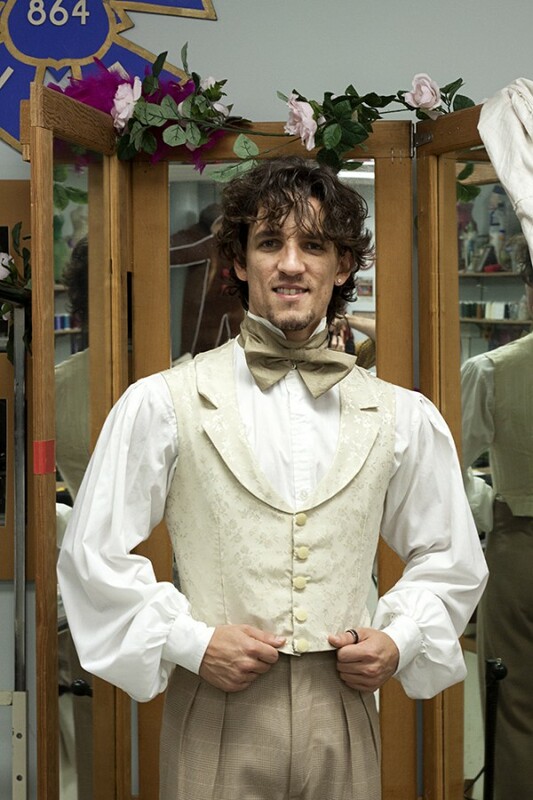 Principal Dancer Cervilio Miguel Amador gets fitted for Lady of the Camellias. 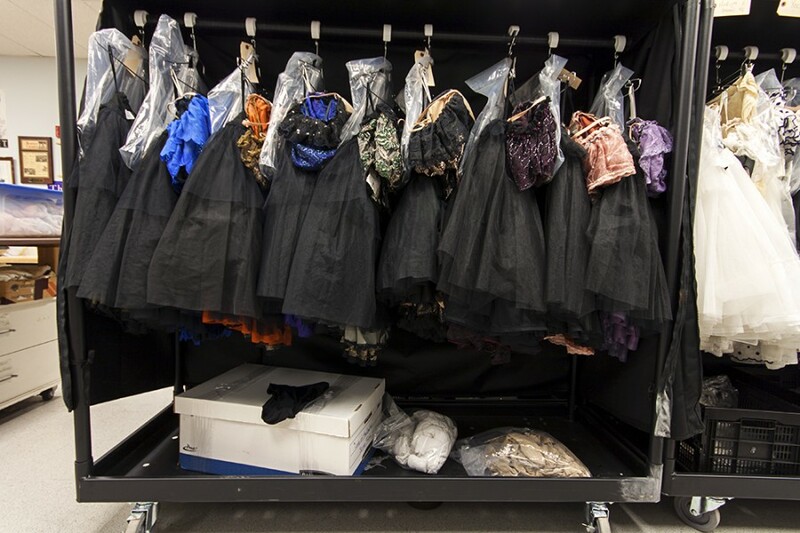 Male dancers have unique needs for their costumes. 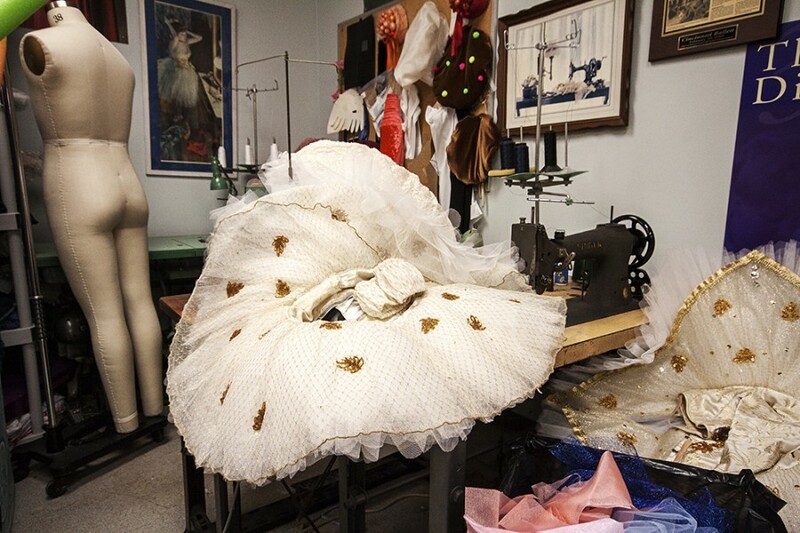 Diana Vandergriff-Adams sews gussets into pants to allow maximum movement—which is necessary because male dancers have been known to bust open pant seams on stage. Soloist Maizyalet Velázquez checks her costume (and turnout) and gives an impromptu performance.